With Summer on our heels, it means summer holidays are quickly approaching as well. 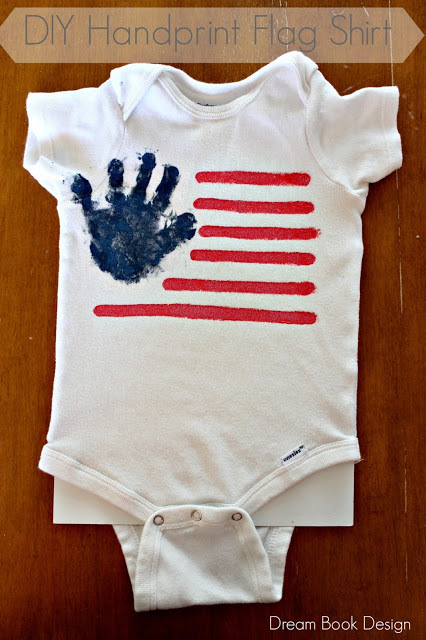 Here is a great 4th of July craft for your kiddos. It is so sweet with their little hand prints and its a great way to document their year, and their age. You could do these not only on onesies, but also on any sized shirt for any aged kiddo you may have. Check out the full tutorial over at Dream Book Design.